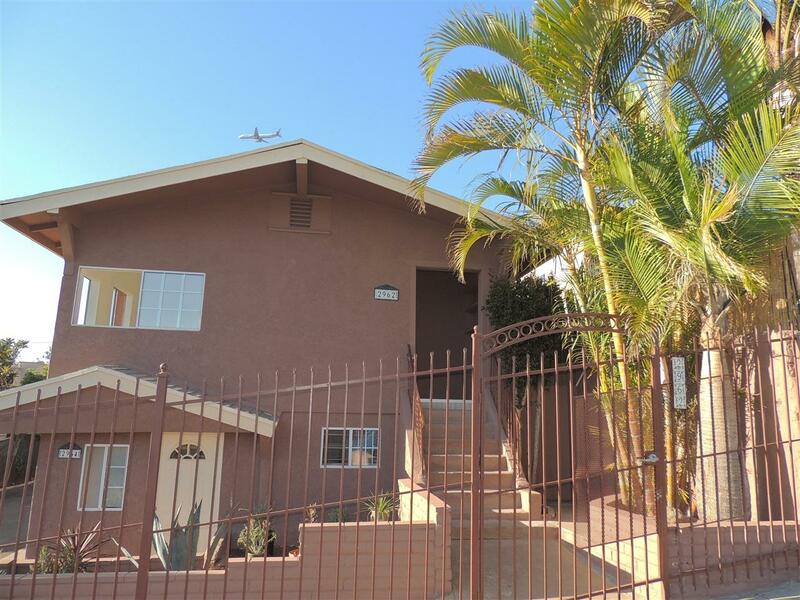 Remodeled 2 bed Golden Hills 2nd story apartment in a 4-plex with views of the Coronado bridge. Located off 30th Street at a cul-de-sac, features 2 off-street gated parking spaces, community coin laundry, new flooring, paint, light fixtures, counter tops. Two bedrooms are 8 x10 & the Master Bed is a little larger with more closet space & a master bath in-suite. Ceiling fans in living room, bedrooms & kitchen. New stainless steel appliances with a gas stove & second efficiency bath with shower off kitchen.